All is well. Thanks for the yard pest service. I am happy with your service. I have not seen any mice droppings or bugs since your services began. Nice and courteous gets the job done. Great service! Really easy to work with on my scheduling. Great service, friendly and punctual. It was very good service, and they respect the time appoiment. They are wonderful they get rid of pests and keep them away. Great price for treatment and service by techs Brock great lead Tech! I am very pleased with Andrew Patrick who comes out every 3 months for spraying inside and out. He is very nice and does a great job! Haven't noticed any bugs, happy for the service Thanks. Problem was noted with installation of the moisture barrier. Terminex was notified and a quick response was done as promised. Just waiting for job completion. Excellent service from our technician. Have been taking care of my home for 13 years!! You guys are okay but not satisfied how they spray inside the house. My last inspection for moisture in the crawl space and termites was of the best experiences I have had with Terminix. My services were performed by Dillion. He took his time in the crawl space to make sure our two sump pumps and dehumidifier were working efficiently. He thoroughly inspected the garage and workshop. Recommendations were made to remove a few items from the garage that could attract termites. Thank you, C. Conklin. Representatives were on time. Went right to work. Did a thorough job, cleaned the area(s) and left. Pleased with crew, the crew's work and the price and materials. 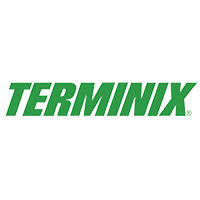 I have been a Terminix customer since I purchased an older home 3 years ago. Terminix keeps the spiders and water bugs out of the house and garage. When I took a 6 month hiatus I noticed a change for the worse indoors and outdoors with bugs returning to the garage and big spider webs in trees and bushes again. Terminix is very flexible and accommodating with scheduling. My technician Sean Jackson is the best technician I have had so far. He takes the time to do a good job. GOOD CONSISTENT SERVICE--HAVE USED TERMINIX IN TWO HOMES AND HAVE NEVER HAD ANY SIGNIFICANT PROBLEMS. Great service dedicated techs and customer service thank you. No issues with the tech that visited my house. He was here 20 minutes or so. I did not crawl under the house to look. He told me the moisture level was very low------good thing. We contracted Terminix to maintain pests both inside and outside of my Mom's home. hot nasty attic. I don't know any of you personally but I just want to thank you all for working together professionally to make it happen. Sincerely Terri M. and Cornelia W.
They are punctual for their appointments and seem to be very knowledgeable about their job. Thank you! Great on time job. Thanks for your excellent service and professionalism. Mrs. Tillman. Yes i am happy with what was done I still ned them to come out and respray for ants.The ants and flies are driving me crazy Thank you diane rainier. The sevice techs are very nice and they are punctual. It’s good to know our home is protected. I'm happy with my service. Thank you. I was very satisfied with the communication and the work of the worker. I like being notified in advance. That way I can be at home when they come & talk with the technician. Techs are respectful, nice and knowledgeable. So far so good. Not seeing very many bugs now besides some beetles but the ants are hardly noticeable.